The Bosch Indego 800 can be seen as the ‘little brother’ of the Bosch Indego family as it designed for smaller gardens. It can’t quite travel as far as the others can but it’ll still make a great job of your garden. 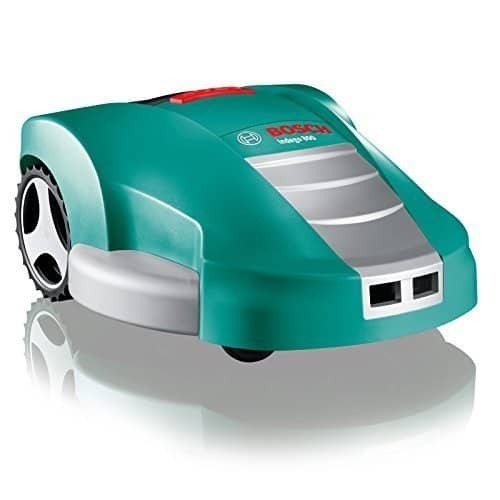 Like the Indego and Indego 1000, the 800 is controlled by the Logicut navigation system, has identical sensors, has a PIN alarm system and uses the exact same mowing pattern. 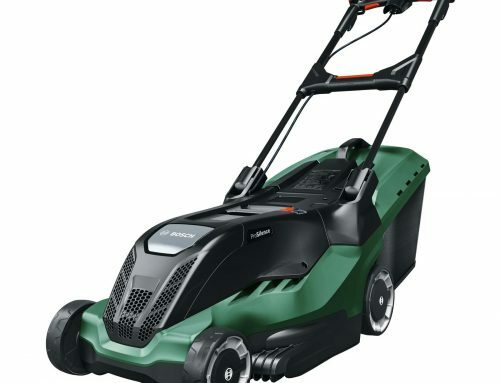 For a good comparison in qualities I would compare it with the Worx WG790E and the Robomow RC308, they are all designed for the same type of lawn so it makes sense to compare their features. Within this review I’ll be running through all of the Indego 800s features, functions and capabilities to show you how well it competes. Like all models, the 800 is powered by a 32V Lithium-ion battery and electric motor with a charging and working time of 50 minutes. Within this working time it can cover areas reaching 200m² and in total can cover areas reaching 800m². The 800 is accompanied with its own to docking station which it will retreat to automatically whenever it needs recharged. Now you may be thinking that 50 minutes to charge a battery is a long time, but actually the Bosch models have the fastest charging times in the market. Most others take anywhere between 50 – 90 minutes to charge, some even over 100 minutes. 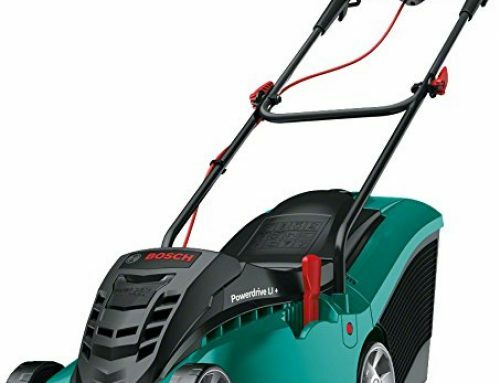 Due to quick charging times and the efficient navigation system, the Bosch models produce the fastest mowing experience in the market. So if you are one for a speedy mowing time, then these mowers are for you. Due to its electrical power system, the 800 gives off zero emissions and is very quiet with a guaranteed noise level of 75 dB. This should keep you neighbours happy as they won’t here the constant shriek usually heard by a lawn mower. This system does wonders for reducing your carbon foot print and will only help the environment. Like all Bosch mowers, the 800 uses the Bosch ‘Logicut’ system to calculate the most efficient route to navigate around your garden without any confusion. It does using a rather unique mowing pattern consisting of parallel lines. This system ensures that all garden areas will be mowed precisely and quickly, and 30% faster than random navigation. And said before, the 800 will continually improve it route after each mow. Which will be recorded and used for every mow. The Indego 800 has a very useful height adjustment setting. 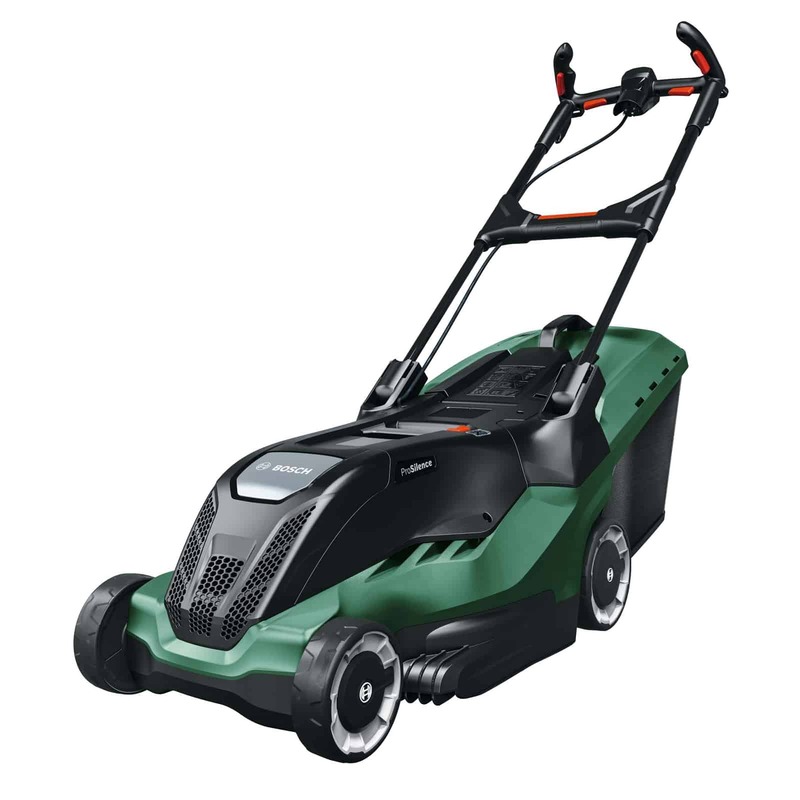 This allows you to alter the height at which it cuts your grass, between 20mm and 60mm. So it can fit the exact preferences of you and your garden. This tool will be especially useful for whenever your grass is getting too long and during season changes. The thing I recommend you do is gradually lower the grass height over a few weeks instead of putting it at the lowest right away. This means that your grass clippings will be very small and you give your lawn the best chance to grow evenly. 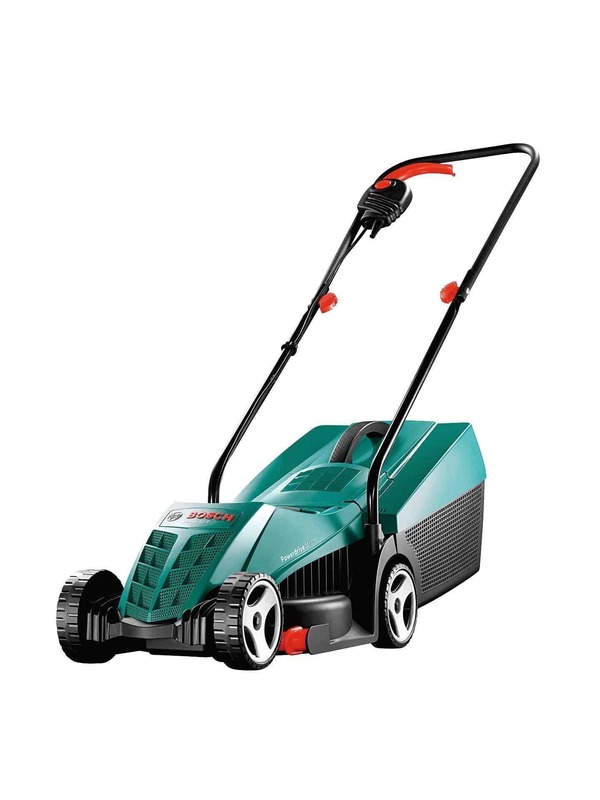 The reason for gradually bringing down the mowing height is because you want to make use of its mulching function. Cutting the grass very finely, the leftover clippings will be able to drop in between the grass and drop to the bottom soil. This improves the natural health of your soil as nutrients are passed on to the grass roots and soil. Making for a healthier, greener and thicker looking lawn. It makes use of obstacle sensors which stops it during any interference, it then recalculates and continues with a different route. It will also remember this for future mows and will make alterations to route it chooses for the next mow accordingly. To prevent the activity of burglars, it has a built-in security alarm and PIN entry system. So whenever someone is trying to use it without the code, the alarm will sound and you’ll catch them in the action. Any time the 800 is lifted or tilted the blade stops automatically and immediately. Reducing any possibility of injury caused to you, your friends or family. These features create a safe and comfortable environment for you to enjoy your garden even when it’s away at work. 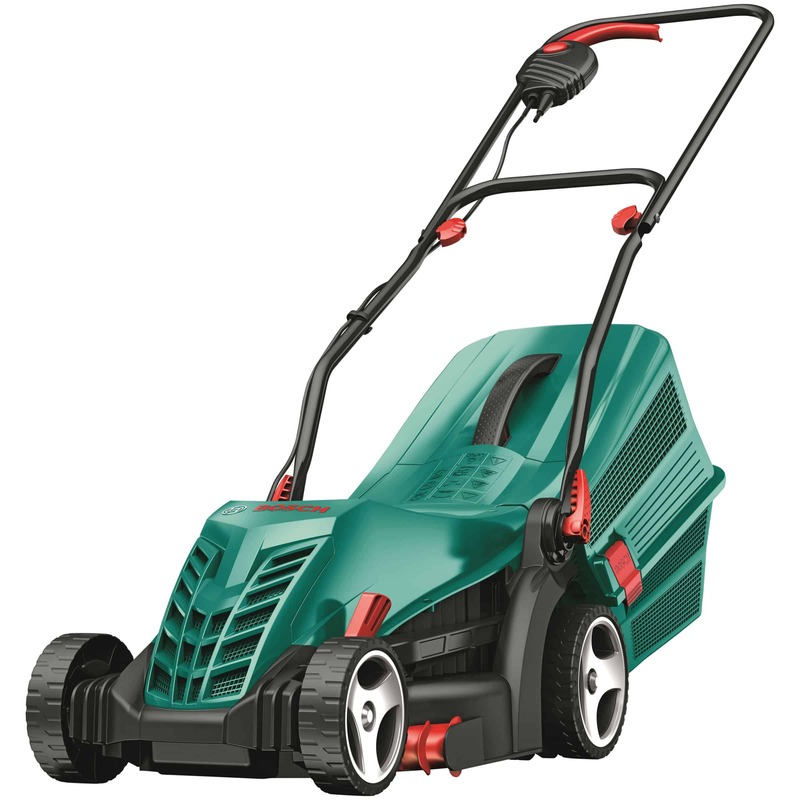 Because of its dimensions and blade size, the Indego cannot reach blades of grass that run along a wall or fence. But considering how much mowing work it will save you I don’t think this is too much to ask. 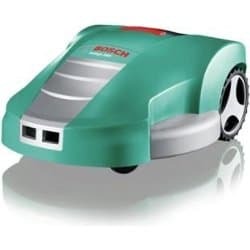 Bosch models cannot travel from one lawn area to the other – e.g. front to back garden. 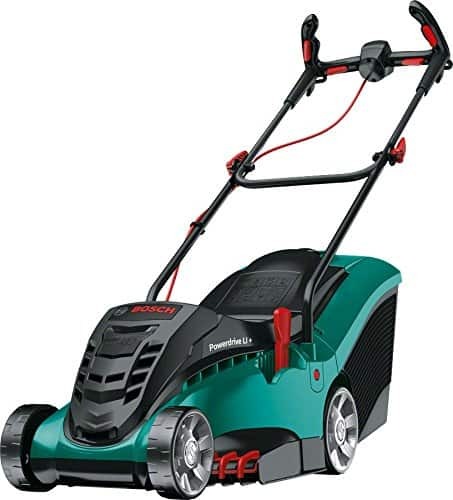 But this would be the same for a push mower and seeing as the 800 would be lighter and easier to carry, I don’t think this is a big deal either. Indego models don’t cope well with leafs. The majority of the time they will be left out on your lawn after the mow so you will have to go and remove them yourself. In my opinion the Indego 800 is an great product. No competitor can match its speed and precision. The results you’ll be getting after a couple of week will blow you away and your neighbours will be extremely jealous that you can get that good a lawn with very little effort. 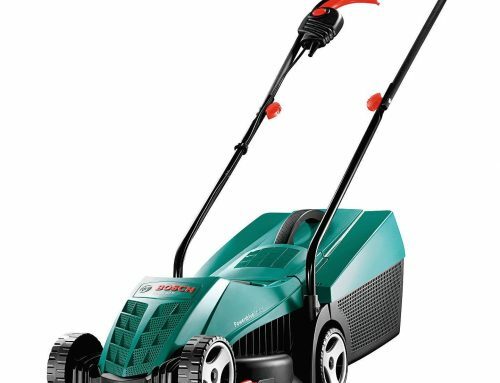 But do I think you should purchase this mower… no I don’t. In my opinion I think the Worx WG790 is the better model. 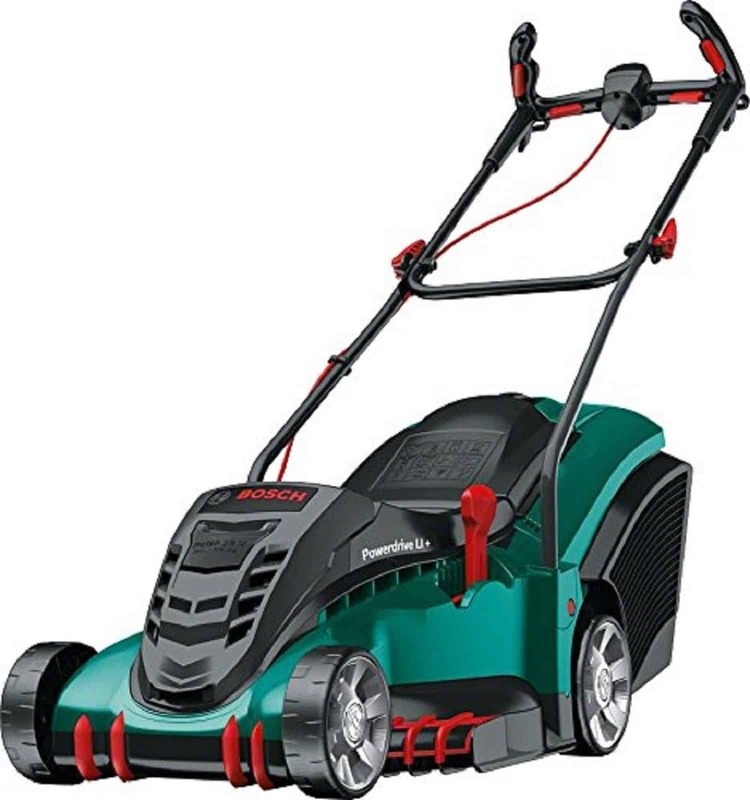 It makes just as good a job your lawn but has less annoying flaws and more features for you to make use of. 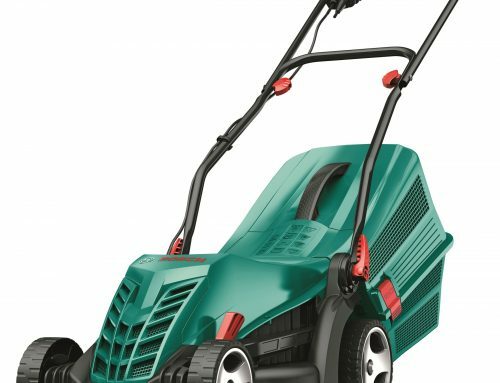 I still think the Indego 800 is a great mower, it’s just not as good as the competition. Now of course the above is just my opinion and you are entitled to yours so if you are still interested in purchasing this model then you’ll need to consider a few things. Below I’ve outlined a few factors that will help you understand whether or not you’ll make full use of the Indego 800. To make sure you get a great price you should head over to Amazon, they’re likely to give you a better deal than anywhere else and with their delivery service, there won’t be anyone more reliable either. If you want to ask any questions about this model then please leave a comment below. All I want to do is help you out as much as I can so I will reply as soon as possible. That is a perfect idea for mowing a lawn. I like it and I want to have one. Just imagine if a robot would do the cutting of grass for me, there will be more time to do something else and I don’t have to worry about my yard getting ugly looking. Do you how much is the Worx Landroid? I have several worx gt product like blower and edger and I like them because of reliability. I have checked the website of worx tools but they don’t offer that landroid mower. I wonder if they accept terms of payment for this product. Thank you for sharing. Yeah of course, I wrote two reviews for Worx models so make sure to check them out! Just make sure to read both reviews before buying to make sure you get the perfect model. The logicut addition really seems like such a great feature, I often wondered at how effecient these mowers were and how they avoided repeating the same patches/missed the same patch of grass. Aw me too Kegan! I always hated running around with the lawn mower during the summer, these mowers would’ve been great. The Logicut system really is super efficient, not only will every bit of grass be covered but the 800 can do so much quicker than anybody else in the market. That’s one of the reasons why Bosch models stand out from anyone else. Thanks for the comment and if you have any questions then please just ask! 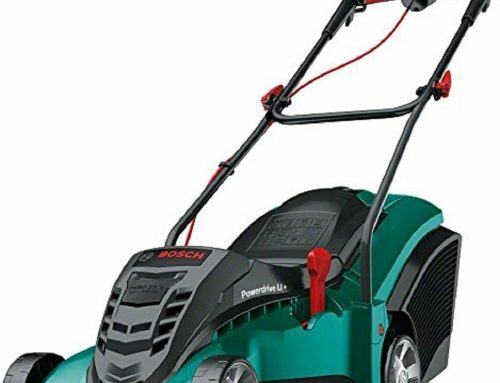 I have been looking at getting a new mower, and decided to look into the Bosch Indego. I have one question, when you say it “takes a while” to cut your grass…how long is a while? I guess I am just curious. Like you say, if it does a good job, it really doesn’t matter. I suppose, unless you wanted to cut your lawn and then had somewhere to go. It really just amazes me how it learns the best patterns after mowing. What an amazing machine! When I say “it takes a while” I just mean it could anywhere between 1 – 2 hours longer than it would if you mowed the lawn yourself. This is mainly because of its charging times and the pace which it works. I know this sounds like a long time but this won’t have any effect on you. Robomowers work around your lifestyle and don’t require you to be there while it’s mowing, so if you needed to go anywhere while it’s working then you can do so without a care! Thanks for the comment, this was a great question that I’m sure other viewers will find very useful! I have not seen this often but it seems more and more that automatic lawn mowers are coming to light. I still have not seen this in my area in the US I am not sure if this is in another country. What I can say is I feel there is a large market for it and “WOW” what have I not seen it. I wonder could you provide a real picture of the product for the review, that would speak wonders for the product. I hear about all it can do and a video, and pics but they don’t seem to resemble or ensure me what the product actually looks like. As an interested consumer I really want to know what the actually product looks like. Hope this helps and other than that great post about how this can help in my life. Thanks for the comment Mario, these really are great machines and I’m sure you’ll begin to see them a lot more often throughout the next few years in the US. 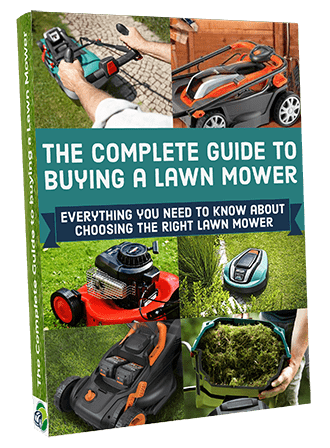 For a perfect garden landscaping, robotic lawn mowers are quite useful. A quick and efficient way of organizing lawns, patios, fences and gardens. One of the amazing things about this is it’s environmentally friendly. Yes definitely! I think that’s one of their biggest benefits! The Logicut gadget indeed is fantastic efficient, now not handiest will every bit of grass be blanketed however the 500 can accomplish that plenty quicker than everybody else within the marketplace. That’s one of the reasons why Bosch fashions stick out from every person else. Glad to hear it’s proving so helpful Russ!